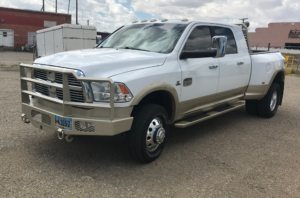 Protect your work truck and keep it looking good for many years. 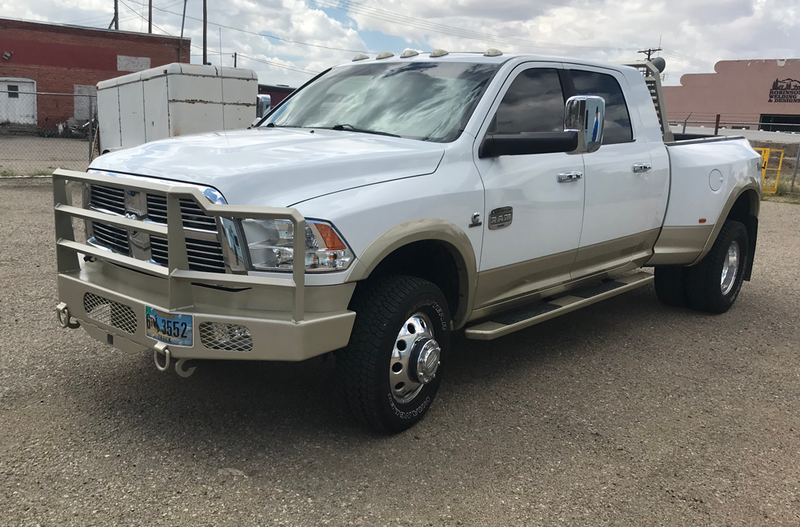 Jack’s Bumpers put the finishing touch on this oil field truck out of Baggs Wyoming. 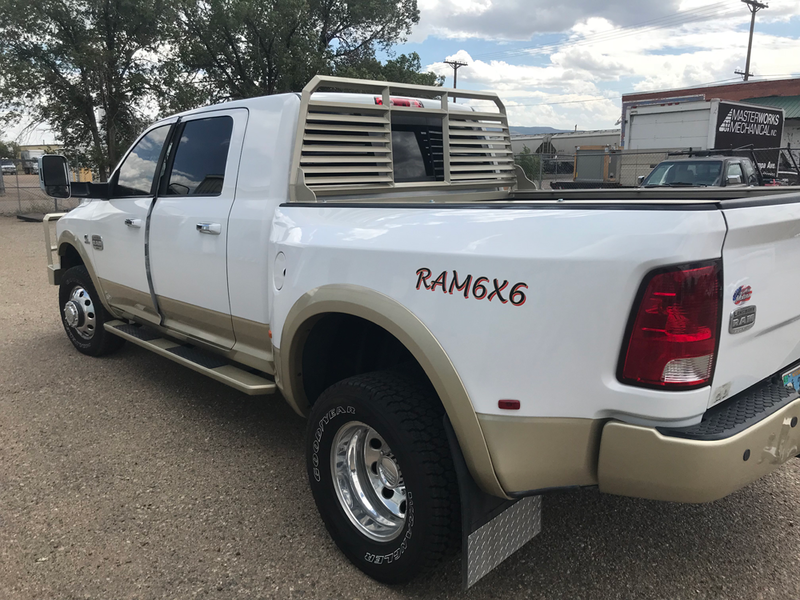 A custom steel bumper with matching headache rack provides the protection needed out in the field. Both are painted with gold paint to match the trim on the truck. 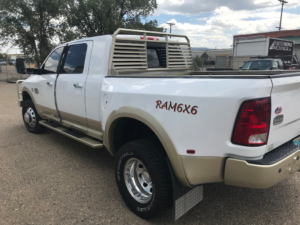 This is a 2012 Dodge Ram. It’s sure in great shape and these new accessories will keep this truck in top notch condition for many more years.